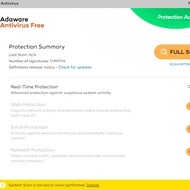 Adaware Free Antivirus is a comprehensive protection utility that can help you to detect malicious threats including malware, spyware, miners, different types of network worms, and adware. It provides a reliable real-time shield mechanism and secures your system. 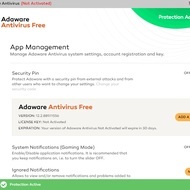 When you launch Adaware Free Antivirus, you will be asked about registration and download definition files. When it is done, you will be able to use main options of the app. 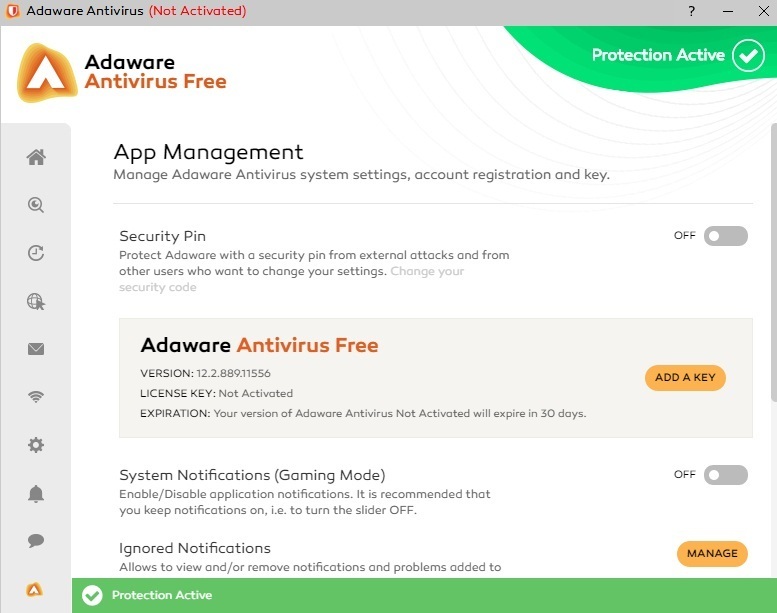 On the start screen of the antivirus, you can see nine options which are in the left column. ‘Home’ tab heads you on the start window where you can find main functions of the app. 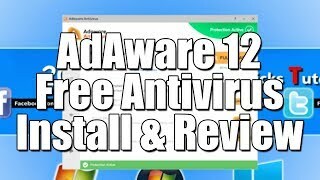 Some of them will be inactive because it is the free version of the Adaware product. ‘Scan’ option provides three types of scanning mode and allows you to view reports. 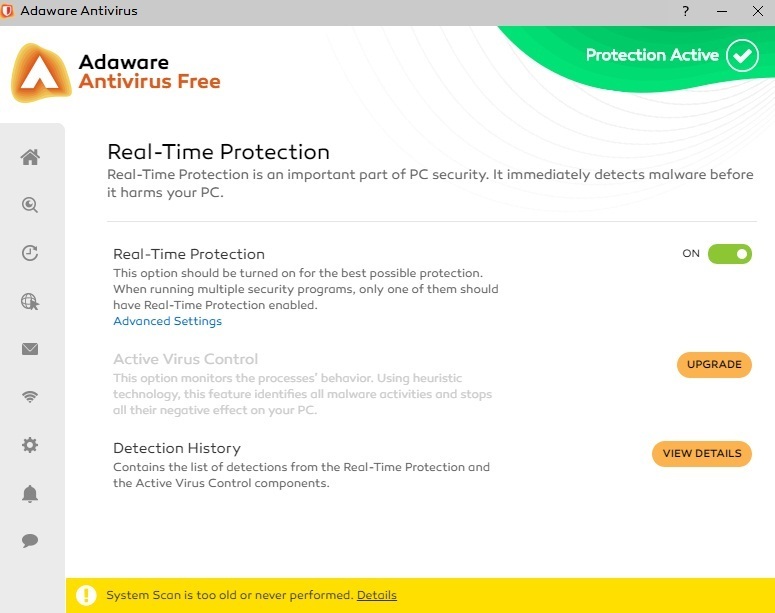 ‘Real-Time Protection’ tab can be used for activating the common protection. 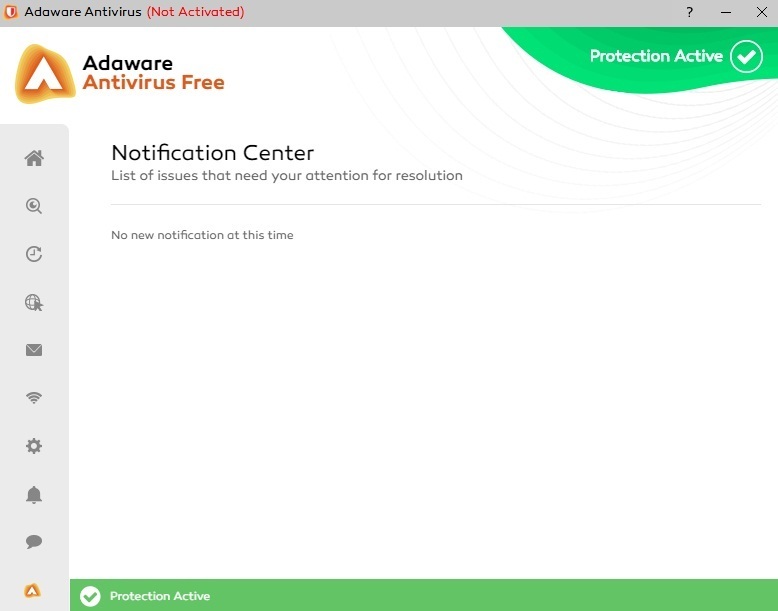 ‘App Management’ option allows you to choose the interface language, set up notifications, enable/disable ThreatWork Alliance, reset all settings to factory default, and change your activation key. ‘Help Center’ tab contents support manuals. ‘Notification Center’ option views all of your notifications. Other tabs will be blocked in the free edition. The free version of the application has some functional restrictions. You are able to use a scanner, real-time protection, and download checker. 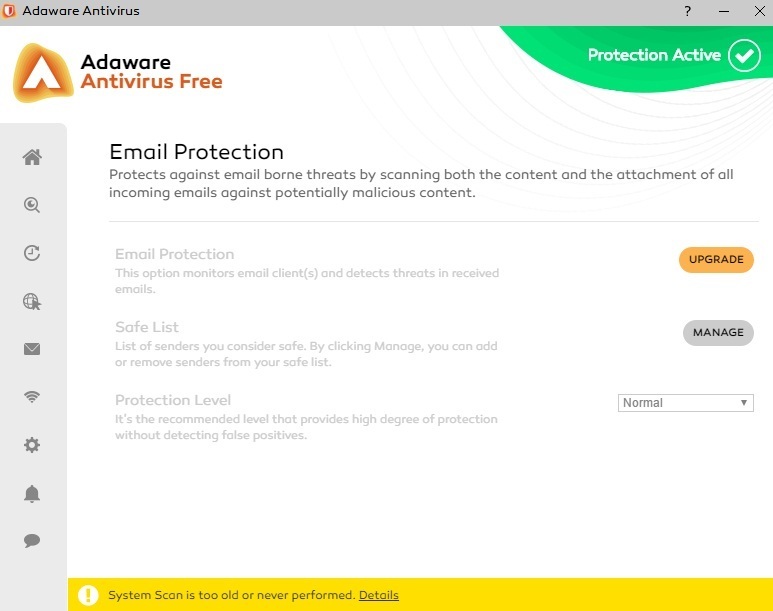 Email guard, network protection, file shredder, parental control, and other features are available only in the commercial version of the antivirus. 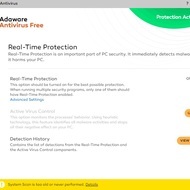 Adaware Free Antivirus is a reliable and secure tool with a wide-range of features. 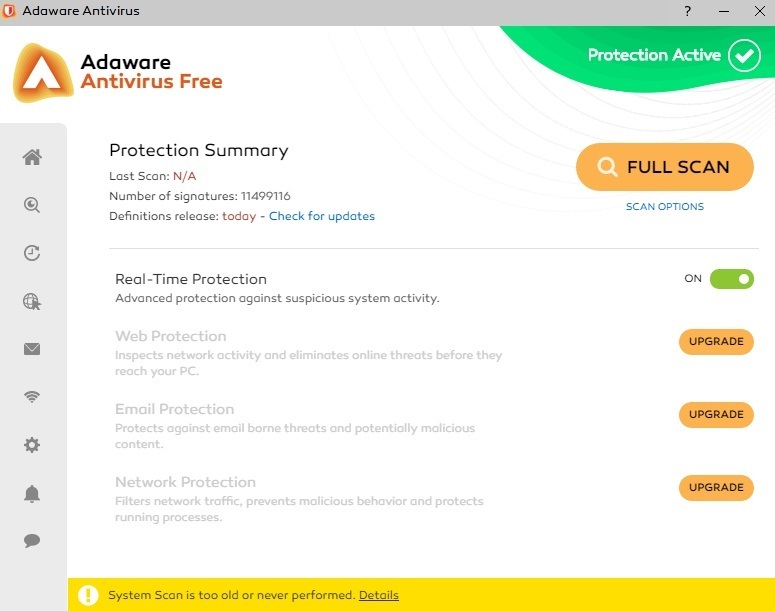 If you want to get an alternative to Avast, Avira, or AVG, you should pay attention to this antivirus. Some features are available in the commercial version. 1 GB RAM (2 GB is recommended). Microsoft Windows Installer 4.5 or higher. 1.8 GB of available disk space. Service Pack 1 for Windows 7.